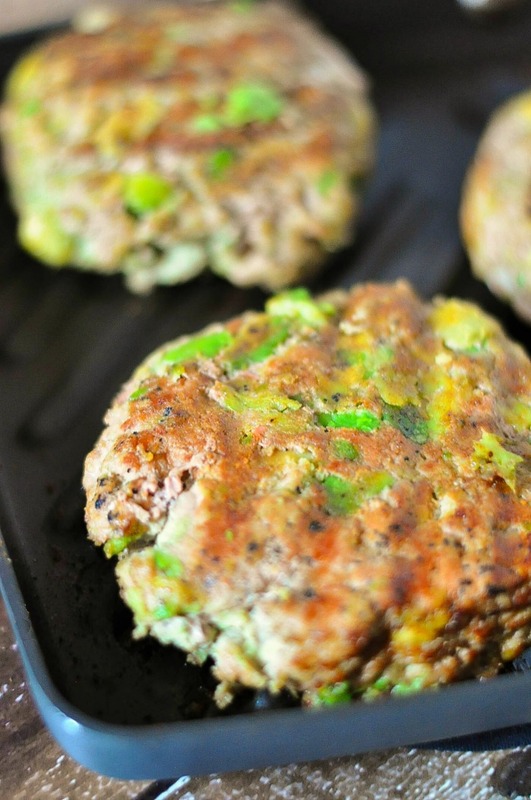 A fabulous, lighter burger to grill this summer - Avocado Turkey Burgers! Add all your ingredients (minus the bread crumbs) to a large bowl and gently mix together. If patties seem really moist and won't form together well for you, add ⅓ cup bread crumbs. Shape into patties and grill, making sure to cook the turkey meat completely. I use a meat thermometer to check.